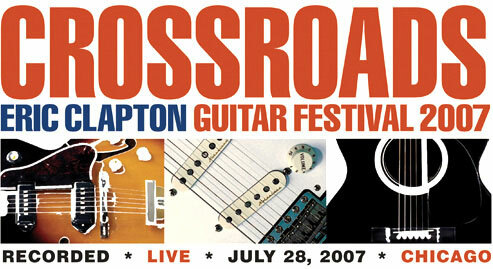 In a fantastic stunning effort 2007, Clapton invited old friends and new to his 2nd Crossroads Guitar Festival in Chicago. This DVDs contain four hours of legendary musicians performing alone and jamming together, along with remarkable footage taken backstage at this six-string summit. Clapton says he created the event so his friends and contemporaries could have fun and play together for a good cause. The cause is to provide a rehabilitation centre in Antigua for those who wish to dry out and shake off the ravages of any type of substance abuse you care to name. This sold-out show is a double-DVD that has gone six times platinum in Australia and is one of the world’s top-selling music DVDs. followed by a real rocking input from Los Lobos. Here I post what I think are 2 great performances with a really powerful display of Don’t Worry Baby. I always wonder if David Hildago has his spine fused together. Any how a great musician you must enjoy. Jeff Beck of course was a replacement for Eric Clapton in the Yardbirds in 1965. In 1967 when he went solo he had Rod Stewart and Ron Wood in his backing band. They recorded perhaps one of the worst all time bits of music I think “Hi Ho Silver lining” I will be reminding this to Rod when we catch up soon when he tours Australia. On Crossroads Jeff B plays some haunting but very avant garde material with Cause [have] ended as lovers. On Disc 1 we get Susan Tedesch who looks almost as sensational as she sings and plays guitar in the back ground is Derek Trucks (perhaps the greatest slide Guitar and her life partner) performing in a perfect but amazingly modest way. A super musician who from what I gather is a nice family bloke too. 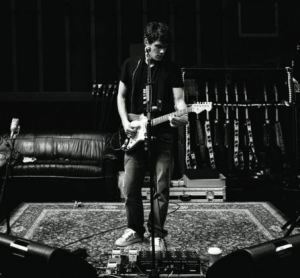 Though I mention him almost last, here is another great talent John Mayer showing again his versatility with Belief from his album Continuum Oh almost funky WOW. 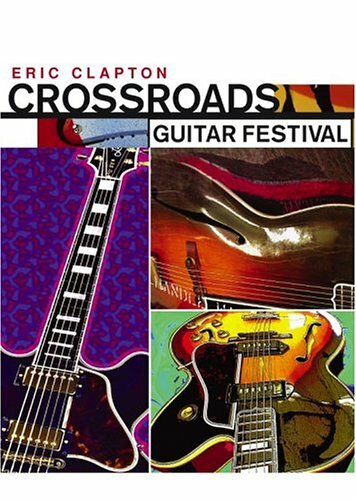 As with the first festival, I thought it was a mistake for Clapton to not close the show. At the 2004 festival, as I posted before he invited (the unlikely) ZZ Top to close the show in honour of their home grown Texas prominence. This year, with the festival taking place in Chicago, Clapton gave the honour to Buddy Guy. That was certainly a noble and unselfish gesture from Clapton. The only thing really missing this year was something as heavy as Steve Vai’s 2004 performance which I was tempted to include again. But I’ll refrain. This is a great concert so buy it. I just wish the producers would release all the sessions from the concert(s). I am sure you will agree we don’t care if it takes 10 DVDs and costs few dollars more just bring it on. It would be worth every cent. To my boys at Riverside I hope you enjoy; to my son Robbie I hope you are in tune with your Dad. To all my friends I hope you find the videos wicked. Now to work on posts about Family law, another item of slow food for fast people. I apologise for not posting sooner but due to the arm injury I can only use a single finger to type on my right hand and it is now very sore. Ouch.